It was my 40th birthday a few days ago, so we booked an amazing week in San Juan, Puerto Rico to spend time with family. Just Anna, me, and the kids. We stayed at a top-notch resort and lived it up, using a little known trick with Marriott Rewards points. Southwest has been my favorite domestic airline for years, thanks to their Companion Pass. With their acquisition of AirTran a few years ago, they started flying to Mexico and the Caribbean, making my heart only grow fonder! Unfortunately, living on the West Coast makes flying to the Caribbean an all-day affair. We left LAX at 9:30a Pacific, changed planes in Houston, and had a brief stop in Fort Lauderdale, before arriving in Puerto Rico around 11p Eastern. 10.5 hours on a plane with a 4 year old and a 14 week old are certainly a challenge, but both kids are pros at traveling by now, so we didn’t have any problems! We booked our trip in December 2014, and round trip tickets were 30,940 points and $11.20 each for Timmy and me, while Anna was free using the Southwest Companion pass. Scarlett was free because she is under 2 years old. We didn’t rent a car, since we knew we’d be staying pretty close to the hotel during our vacation. Instead, we took a taxi. They preferred cash (like most taxi drivers), but they accepted my credit card. The ride was $24 from the airport, and $22 when we came back on the return. Puerto Rico is a US territory, so the US dollar is the primary currency. This resort is a Marriott Category 8 redemption, which means it would be 40,000 points a night. During our stay, the cash price per night was pretty reasonable at $239, if you pay for your hotel rooms. We paid $25 a night to upgrade to an ocean view room, rather than the standard room that overlooks the pool. One-bedroom suites with mini-kitchens are available in the new tower, but we didn’t need that much space. In our room, the shower was delightful with both a rainfall shower head and a shower wand. I you adjusted the valve just right, both would work at once. After that experience, showering at home won’t quite be the same anymore. A small fridge in the room was great for snacks for Timmy and a place to store formula for Scarlett. Mommy and Daddy enjoyed the cold beverages, bought at CVS down the street, from the fridge as well. We bought snacks and breakfast items from the store to cut down on the meals we had to purchase. The fridge was already stocked with a couple complimentary bottled waters, and we were given two more every day of our stay. Venturing further into the room was a wall of closets, the bed, a flat screen TV, a radio/DVD player (we watched Wall-E about 25 times), and floor-to-ceiling windows with a slider door that opened up to a view of the beach. The bed and linens were really comfortable, and the bed was overflowing with comfy pillows! Next to the bed were a lounger, a chair, and a small table, which served nicely when eating inside our room. The desk attached to the TV stand was a good workspace, but there were no plugs nearby. In today’s electronic age, that’s a pretty big fail. I had to stretch my computer cord to its limits behind the TV and unplug a lamp in order to keep the juice flowing. I didn’t use my computer much, though, because the view of the beach and ocean beckoned us. Our slider opened to a 12 inch balcony…not enough to walk out on to, but it provided the illusion of more space. There are three pools and two spas at La Concha. The biggest pool is the Ocean Tower pool, which is seen from the lobby. It has two tiers, with a waterfall that connects them. The two spas are on either side of the top pool. We didn’t go into the spas much because they were too hot for the kids. The bottom pool had a tile divider with bubbling fountains in the middle. Timmy and some friends had fun doing laps around the divider and using it as a “safe zone” and something to climb on. Some older kids were playing volleyball and using it as a net, even though it was only 6″ out of the water. Our pool time was about equally divided between the Ocean Tower pool and the pool that overlooks the beach. It offered a “baja deck” where the water was only 12″ deep, across half the pool, and the other half dropped down to 4′ deep. The edge of the pool was an “infinity edge,” which was really cool. The adults-only pool also had an infinity edge, but the pool itself was pretty small. We didn’t swim in this pool since we had the kids with us. In all the pools, the water was very warm. I would guess that the water was about 90*, which was a perfect temperature to lounge in during the day and at night. The water was even warm enough for us to bring our newborn daughter into the pool for the first time. Scarlett was excited to be in the pool… and so was Mommy and Big Brother. I heard that every beach on the island is a public beach. So, resorts guests shared the beach with locals and guests of other nearby hotel. The resort gave us a couple complimentary buckets with assorted shovels, trowels, and other tools to build sand castles. Timmy was beyond excited and couldn’t wait to put them into action! The water was much warmer than the water in Orange County. I would guess that the water was about 80*. The waves crashed near the shore and there was often a strong undertow. Waves were mostly 2-3 feet, with the occasional waves exceeding that. I ventured out and waves would often crash at my waist or chest. It was fun jumping and splashing in the waves with Timmy. He had his lifejacket on, but I still held on to him and lifted him above the crashing waves and water he could have fun without any danger. The gym overlooked the beach pool and beach. Talk about inspiration to work out! There was a great mix of machines and free weights. There were multiples of treadmills, ellipticals, and bikes, so I never had to wait to use a machine. La Concha offers instructor-led classed 7 days a week in the studio attached to the gym. Anna participated in the Pilates and Zumba classes. On our last day in Puerto Rico, she wanted to do the yoga class, but it had been rescheduled to an earlier time without notice. Many of the larger hotels offer a casino attached to their hotel. There was a casino at La Concha. It is near the entrance, so we walked by it every day, but we never went inside. La Concha offered a variety of food options. We didn’t try them all, but the food we had was tasty. We ate poolside with Sereno Bar & Grill a couple of times out of convenience… and catering to a 4-year-old who wanted Mac N Cheese and didn’t want to leave the pool. The portion sizes were big, so we were able to make it a couple of meals for him. One morning we ate at the breakfast buffet at Delicias. It was filled with the usual breakfast buffet items. The omelet bar also handled the waffle-making duties. You could custom-order your waffles… so Timmy had a waffle with chocolate chips and bacon inside, topped with Nutella syrup on top. He LOVED it! The buffet was $25 a person, but children 5 and under were free. We wanted to try Perla, with the unique architecture, for my birthday dinner, but Timmy wanted quesadillas that night, so we ate off-resort instead. Instead of eating solely at the resort, we ventured out locally. Plenty of great choices that were generally around $10 a person. 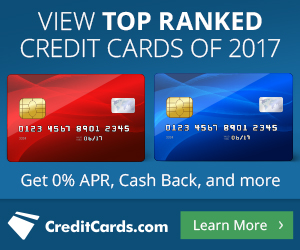 I had almost 350,000 Marriott Rewards points in my account after getting the personal and business versions of the Marriott credit card (70,000 points each) and the Ritz Carlton card (140,000 points), plus some spend on the cards. There is a little-known Marriott benefit known as “Marriott Rewards Hotel and Air Package“. With this benefit, you can redeem for BOTH a 7-consecutive-night stay and airline miles. The baseline is a Category 1-5 stay, but you can get more airline miles and a higher Category stay by moving up the matrix. The minimum Marriott Rewards points required are 200,000 to book this deal. After researching the various Puerto Rico properties, I knew I wanted the Category 8 redemption. So, in February 2015, we redeemed 310,000 Marriott Rewards points for a 1-week stay at a Category 8 and 70,000 Southwest points. There are many airlines to choose from when redeeming. I chose Southwest, but you can also choose from JetBlue, American, British Airways, and many others. The airline points transfer immediately. And, with Southwest, the transferred points count towards your Companion Pass qualification. The hotel stay must be reserved and completed within 1 year of redemption. If you’d like help in learning how to earn these points, or any others, please send me a message here. I had the best time in Puerto Rico with my family. We all enjoyed the warm weather (between 75 and 90 the entire trip) and the Caribbean breezes. We were treated very well by the La Concha staff, and the room and the resort had everything we could ask for. The pools and beach were so relaxing and inviting, and the food choices were good. We are looking forward to returning to Puerto Rico in a few years when Scarlett can enjoy it more. The La Concha will be near the top of a small list of properties to stay at. We were not ready to leave!